Bring a date, your skate and Bacon Skateboards will provide the rest. This Friday, January 22nd at DoS from 7-8 p.m, show off your mad skating skills for your date; it’s free. 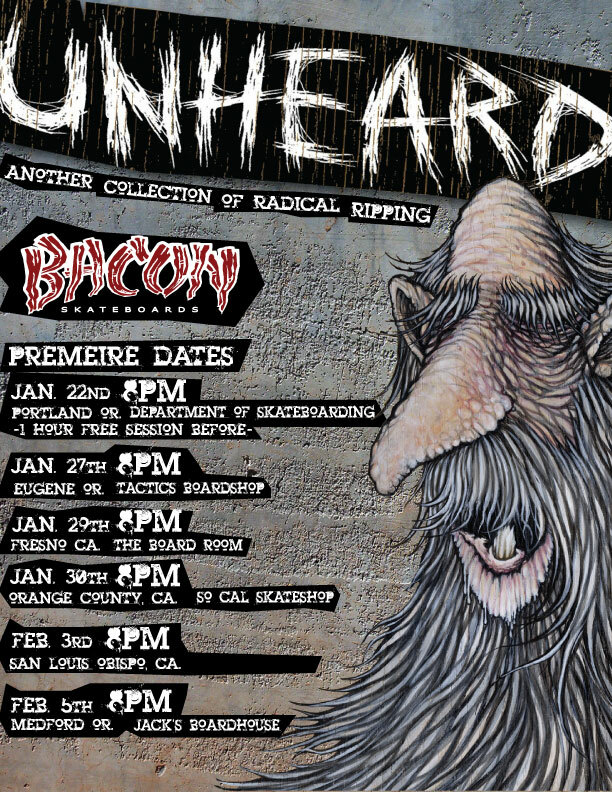 At 8 p.m., the lights will dim for some snuggle up time along with some intimate shredding by the Bacon crew in their latest video release, Unheard. Don’t miss this week’s Monday Cover skater, Kevin Kowalski, take on the saucer lip in Coos Bay. It’s out of this world! Check out all the details on the flier after the turn. EPM “social rendezvous confirmed” Out.